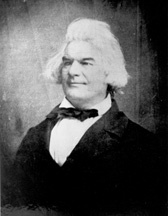 BUTLER, Andrew Pickens, (son of William Butler and uncle of Matthew Calbraith Butler), a Senator from South Carolina; born in Edgefield, S.C., November 18, 1796; attended Doctor Waddells Academy at Willington, Abbeville County, S.C., and graduated from South Carolina College (now the University of South Carolina) at Columbia in 1817; studied law; admitted to the bar in 1818 and practiced in Columbia, Edgefield, Lexington, Barnwell, and Newberry; member, State house of representatives; member, State senate 1824-1833; aide on the staff of the Governor 1824; appointed judge of the session court in 1833; judge of the State court of common pleas 1835-1846; appointed and subsequently elected as a States Rights Democrat to the United States Senate to fill the vacancy caused by the resignation of George McDuffie; reelected in 1848 and again in 1854 as a Democrat and served from December 4, 1846, until his death near Edgefield, S.C., May 25, 1857; chairman, Committee on Judiciary (Thirtieth through Thirty-fifth Congress); interment in Big Creek Butler Churchyard, Edgefield, S.C.
American National Biography; Dictionary of American Biography; Herriott, F.I. "James W. Grimes Versus the Southrons." Annals of Iowa 15 (July 1926): 323-57; (October 1926): 403-32.